cardigan junkie: How much is too much pattern? The home renovations continue this week at Casa de Cardigan Junkie, and everything I have is covered in dust. We've removed tons of tile, scraped up about 200 sq feet of 1970 linoleum, and are ripping out carpet by the yard. This new floor better be awesome. Since I'm getting rid of carpet in my living room, I'm now in need of a great area rug. 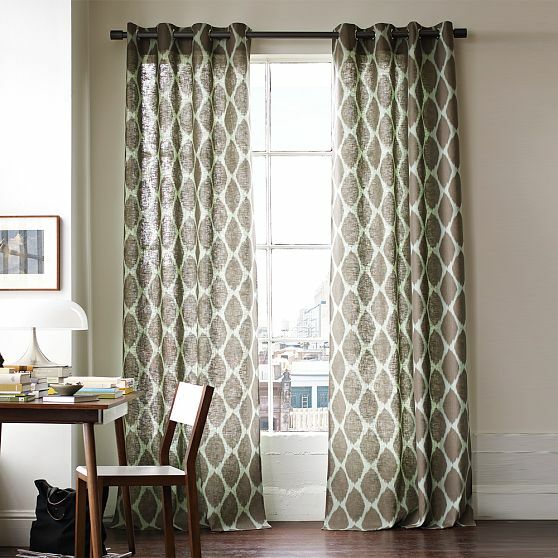 My dilemma is that I have an amazing pair of ikat print curtains from West Elm that I love and want to keep in the room. 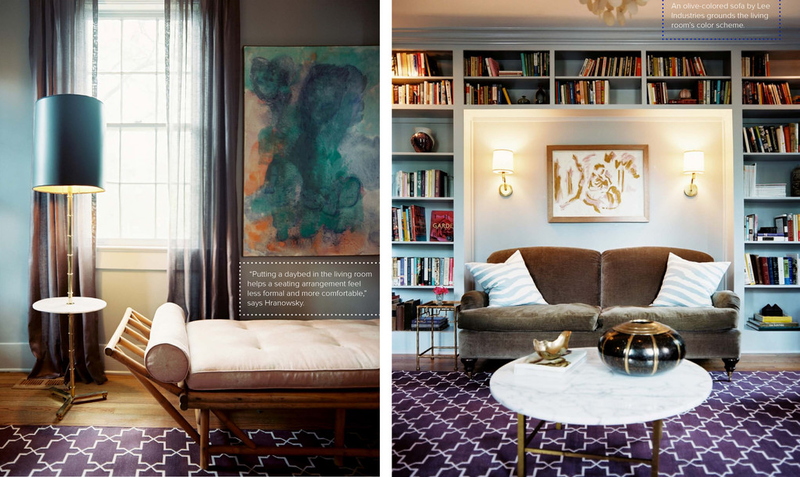 What goes with that print besides some sort of natural textured rug or solid color? 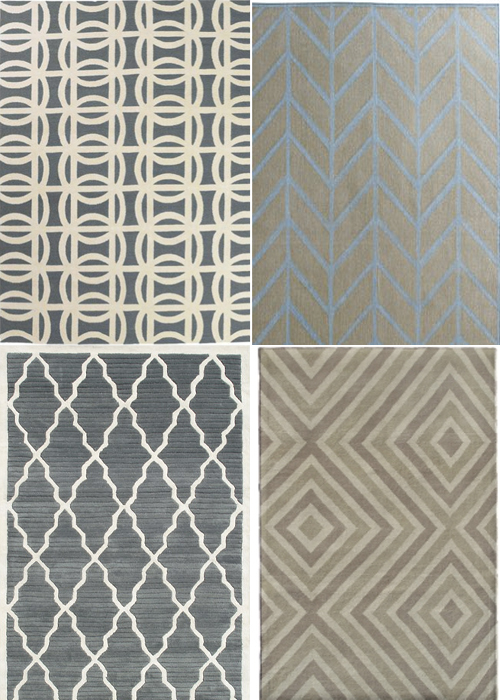 I love geometric print rugs and have been wanting one for months, but I worry that there would be too much pattern going on in a 5 foot radius. Will it look like some sort of bohemian mess in my living room if I have any of those patterns with the curtains, gray zebra pillows and Charley Harper prints? It's hard to test drive a rug without racking up a ton of return shipping charges, and I live with a person who is obsessed with soft rugs and hates the feel of flat weave rugs on hard floor. And also we have indoor dogs who run around like maniacs, so the rug needs to be heavy and not move around. Can this get any harder?! 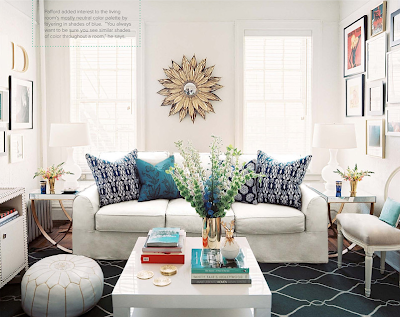 Obviously, I need help sourcing an 8x11 rug. Where can I find large, modern patterns that we can visit in person (in Dallas, Austin or Houston) before forking over $1,000? Help me!! 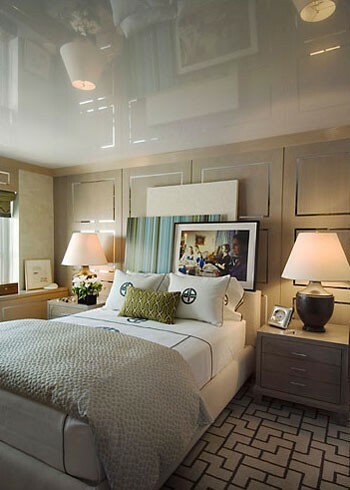 I think resting large pieces of art on the headboard (as seen in the Apartment Therapy picture) is just asking for one (if not all of them) to fall on your head at some point while sleeping. One exaggerated roll over and bam, framed artwork to the head. Otherwise, I like that design. I love the rug on the bottom right of your collage, and I definitely think a geometric rug could work with those curtains! World Market and Home Goods are my best guesses on where to find a fun, patterned, and not-so-pricey rug. We've got wall to wall (old and icky) carpets, so I haven't embarked on a carpet-finding adventure yet! You can totally get away with mixing the patterns. Have you tried mixing a couple you like in a room mockup, maybe in Polyvore? I think the key is having patterns that have different contrasts. 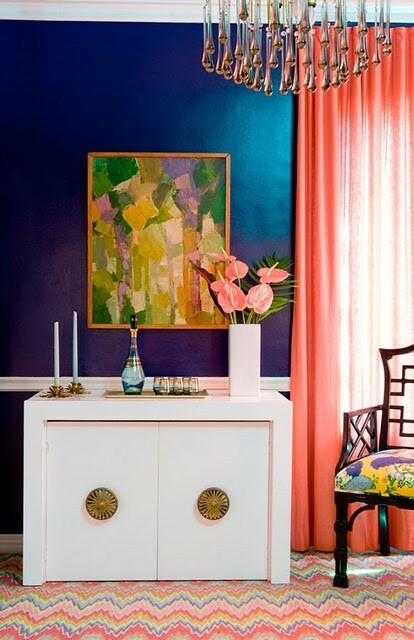 The first rug pattern on the top left would look great, because the two colors are darker (the pattern is very subtle), which would allow the ikat to really pop! my husband is totally the same with wanting soft rugs! i'm not sure a great place to look, but if i see somewhere in houston, i'll let you know. Go for it! I love mixing patterns on curtains & rugs. All of your picks are great. You can for sure mix patterns. 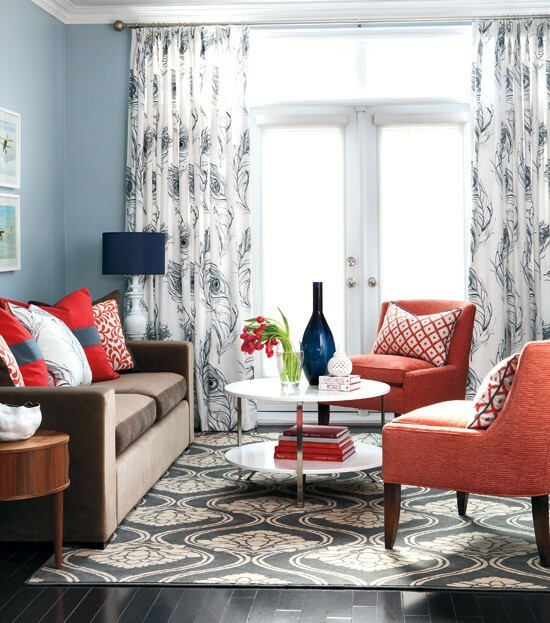 I like the bottom right pattern the best with your ikat curtains. Definitely go for mixing patterns! I just bought one similar to the bottom left rug. Rugs USA (wait for when they have it with a 40% off promo code) and Overstock are the best sources I found for good prices for larger, quality area rugs with a contemporary pattern.